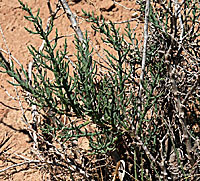 Allenrolfea occidentalis (of the west), quinine bush, grows in areas near salty or alkaline washes. 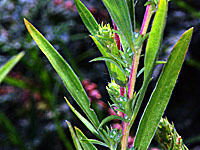 The plants above were growing near the Rio Salado wash near San Ysidro, New Mexico and at Salt Creek in Death Valley National Park. 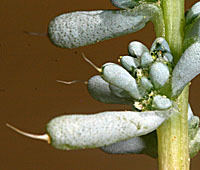 Atriplex canescens (greyish), Four Wing Saltbush has distinctive four winged fruits. 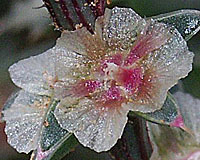 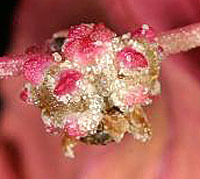 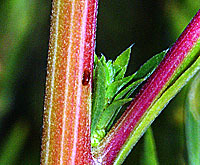 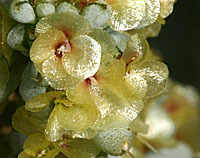 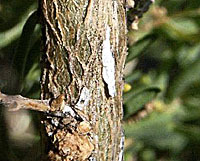 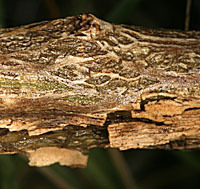 Staminate and pistillate flowers occur on separate plants. 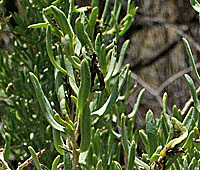 Saltbush is a common species on dry, somewhat alkaline plains like the San Luis Valley in Southern Colorado. 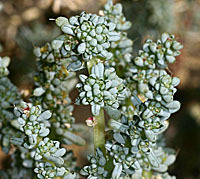 Chenopodium incanum (grey or silver colored), Mealy Goosefoot, growing adjacent to the Barr Trail east of Pikes Peak, Colorado, at an elevation of 7,550 feet on September 5, 2005. 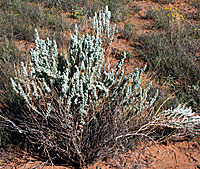 Eurotia lanata (wooly), Winterfat, growing on sandy plains east of Socorro, New Mexico, elevation 5,060 feet in September. 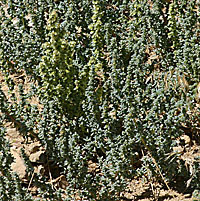 Kochia scoparia (broomlike), growing in disturbed ground at 7,200 foot elevation in the Jemez Mountains of New Mexico. 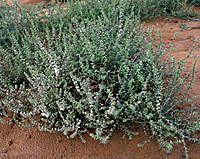 This is a common invasive weed of disturbed ground, especially in the desert. 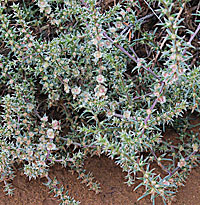 Salsola tragus (goat), Tumbleweed, growing in a dry, sandy arroyo bed near Taos, New Mexico. 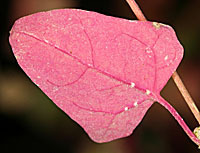 Photo taken in September. 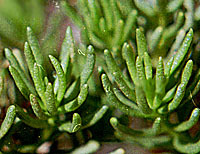 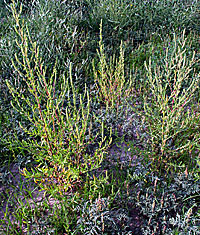 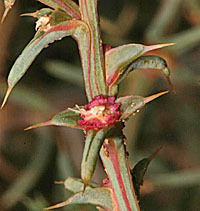 Salsola kali is a noxious weed imported from Eurasia. 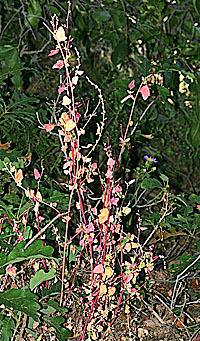 The dried plant breaks off at the base to form a rolling weedy mass carried by the wind into fences and ditches. 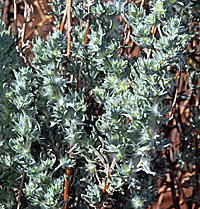 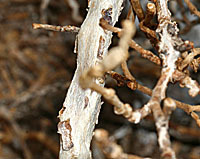 Sarcobatus vermiculatus (fleshy leaves, wormlike), Greasewood, is a shrub of salty or alkaline habitats. 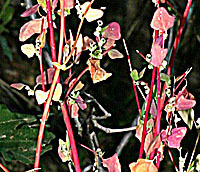 The photos here were taken in alkaline washes near San Ysidro, New Mexico.